She has too much respect for this community, but not enough to not pretend to live there. Anyone want to guess how long it takes before Pilfering Paulette moves back to her mansion on Marion? Paulette could have run for City Council in 2020 to represent the neighborhood where she and her husband actually live but chose not to, because why? None of the candidates who actually live south of Chapman can speak for themselves? Oh yeah, lots of respect for this community. Tons. Takes a lot of respect to move out of a 4000sq foot estate and into a 600sq foot condo just to run for City Council. That’s real sacrifice. I mean she probably paid cash for that condo. Do you have any idea just how hard it is to write a check these days? R-E-S-P-E-C-T.
Take a look at the last part of Mrs. Chaffee’s statement. She’s suspending her campaign for the good of the community. You hear that Fullerton? Pilfering Paulette is doing you a favor! She stole and now she’s a great big freaking martyr, sacrificing herself to benefit you, but that’s why she came down from the Hill in the first place, isn’t it? Who else was going to save District 5 if she didn’t come all the way down to run in the flat lands herself? There’s something we all need to understand about Paulette and Doug Chaffee. Paulette got caught, twice, stealing signs that weren’t hers. Think about just how unbelievably self absorbed you really have to be get into this kind of problem. Her response to being entirely and solely responsible for putting herself in this ridiculous situation? Her response is these people who caught me are toxic. It’s their fault. They’re the evil ones. I’m a martyr, I’m a victim, but most of all, I am still better than nearly all of you. Meanwhile, Doug is still on the campaign trail, pretending none of this ever happened. I mean come on, if Paulette doesn’t have to apologize, why should Doug? Does anyone out there really feel that Doug doesn’t think his wife is a martyr? That Doug doesn’t think his wife did anything wrong? That they’re not really just better than you? That he can just ignore this and make it go away? I guess it’s a good thing the City Manager and the Chief of Police work for Doug. Would be a real shame if Pilfering Paulette had her case expedited for potential interference in our free and democratic election process. The Chaffees could not muster an ounce of grace even when they need it most. What a sad family. Very good article, but Doug would never talk to Paulette like he’s doing in that gif you posted. Well at least she didn’t ramble on about some ‘vast right wing conspiracy’ or some other drivel. Husband/wife teams are never a good sign of a healthy political class… right? FFFF has ended so many political careers. This must be some kind of world record. Are you already counting Doug’s too? Is she still goiing to be charged for theft? The case is in the hands of the Fullerton Police, who work for her husband. What do you think? It’s in the hands of the DA! Wow, you threw the whole book at her. Such a great article, but let’s leave the carpetbagging signs up anyways just to piss her off. She’s still on the ballot and she will still get votes. Keep the signs going! I saw a city truck and a guy in orange vest removing one at bastanchury and malvern just this morning. Doubt it. That’s not in the 5th. The Paulette incident reminds me of the time when that slimeball Denis Bilodeau got charged for petty theft and vandalism after he stole some campaign signs on video. He went on to work for County Supervisor Shawn Nelson. What a great bunch of guys. 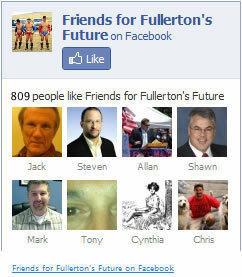 You think Fullerton city council is a good job? The signs stay up. The mail will be delivered. There is no rest for the weary. Why? Because Pilfering Paulette’s name remains on the ballot. Also, now it’s Doug’s turn! What would happen if she gets the majority of the votes? Her name is still in the ballot. I think the majority of District 5 residents still don’t know this story. For those of you who reside in district 5 , take a look around, nothing has been done in this area for years, it’s neglected, run down, outdated, full of rehab and drug houses, free clinics, worn properties, and hundreds of homeless , crime etc. been progressively getting worse, residents need to start taking responsibility. It’s not a political party issue, it’s a community issue. Step up, do your part. District 5 may be bad, but I think you just described the entirety of Fullerton. The whole state for that matter. Dan, meant the guy who got a job from Shawn Nelson. Not City Council. The focus now should be on Dementia Doug and his phony dealings. This is whole thing is proof on why they need to go away. If he has no concerns about any of this, doesn’t address any of this, that should show the voters just how serious his values are. 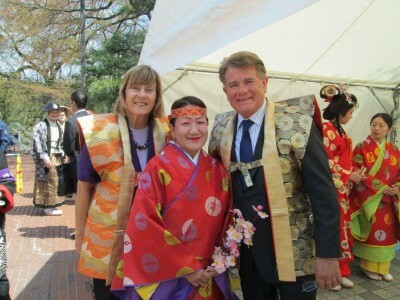 Take a look around Fullerton, he has been Mayor a few times like he is now. The place is a mess! City staff, PD, the roads…this guys doesn’t do ANYTHING other than kiss the babies and cut the ribbons to the new bars opening downtown for the lousy Chamber. What a hero! Washa matta you boysfraid of a strong old woman? Ha! You left out “white”! Jan Flory is plenty scary – even sober. Since Paulette is essentially dead politically, right next door to Fullerton in District 1 Buena Park is a Huntington Beach Carpetbagger, Sunny Park who moved into the district last year with the expressed desire to unseat incumbent Mayor Virginia Vaughn. She is claiming the district as the Korean District and has raised more than $200K of out of town money, even going as far as using Sharon Quirk Silva to pull strings at Caltrans to put up a marker at Beach and Malvers designating it as “The Korean Business District”. She’s also a shady attorney just like the Chafees. You guys up to bring another one down? I think that’s a job for the Friends of Buena Park’s Future. Lol, yes. FFFF only reports on BP when the Fire Heroes set their station on fire and run away. To be fair, we do have a mutual aid agreement with them when incompetency reaches that level. Beach & Malvern you say? I know someone with some extra time on her hands who might be able to help. Looks like the media finally picked it up..